The only hill station in Rajasthan, Mount Abu sits astride a plateau at the far southwestern end of the Aravalli hills. Built around a lake and surrounded by forested hills, it is an oasis that draws huge crowds of tourists fleeing the scorching summer sun for cooler climes. The Maharaja's of Rajasthan have over the centuries built gorgeous summer palaces here and coupled with the ancient temples that dot this hill retreat, they add an old world aura and a medieval charm to its verdant landscape. Coloured in mythology, this hill retreat is said to have derived its name from Arbuda, a serpent who according to legend is said to have descended to this spot to rescue Lord Shiva's bull, Nandi. Mount Abu is also a spiritual retreat, a land of saints and sages, the most popular of these is sage Vashishta, who is said to have conducted a huge yagna here out of which he created the four Rajput clans. 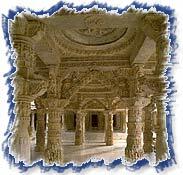 Many famous temples are also situated here and amongst all of them the intricate Dilwara temples are the most stunning. The scenic landscape, an array of coniferous trees, flowering shrubs, lovely lakes and the cool climate is in such contrast to the arid environs of the desert state of Rajasthan that Mount Abu becomes even more of a novelty. These exquisitely carved Jain temples were built between the 11th and the 13th century AD. Dedicated to the Jain Tirthankaras, these five marble temples showcase the highly developed aesthetic and artistic sensibilities of craftsmen of the time. Dedicated to Lord Rama, this temple is centered on a spring gushing from the mouth of a marble cow. 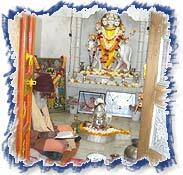 This temple is built on the spot where sage Vashishta is said to have performed his Agnikul yagna. At the heart of Mount Abu, is the shimmering blue Nakki Lake. According to legend, the gods scraped this lake out of the ground using just their finger nails. This charming attraction is a popular picnic spot and provides a variety of boats for traversing the lake. Early mornings provide the best views of the surrounding hills and also an opportunity to spot some exotic birds by the shoreline. The Summer Festival is held every year in the month of Aashadh (June). As the rest of Rajasthan burns to a crisp, Mount Abu sits cool and pretty. It is perhaps the only town in Rajasthan that celebrates the coming of summer and what a celebration it is, the entire city is decked up, colourful processions fill the streets, performers sing and dance everywhere and festivity reigns in the air for the entire three days that the festival carries on. Mount Abu also has a wildlife sanctuary. Situated 8 kms from the town, the sanctuary is spread over 288 sq kms. In summers this park with its champa, mango, jasmine and khajur trees is laden with fruits and blossoms, housing more than 250 species of birds and also leopards, chinkaras, sloth bears, wild boars and langurs. Situated 15 kms away from the town, it is the highest peak of this hill station. 1722 mts above sea level, it allows a bird's eye view of the idyllic surroundings of Mt. Abu. A small shaivite shrine and an ancient temple of Dattatreya at the summit are worth a dekko. Mount Abu has a temperate climate. In summer temperatures can go as high as 34 degrees centigrade. Minimum summer temperatures remain at a pleasant 23 degrees. Winters in Mount Abu are balmy at a cool 28 degrees with minimum temperatures of 11 degrees centigrade. However, it rains fairly heavily in the monsoon (65-177cm). So the very best times to visit are between February and June or any time after the rains between September and December. Lightweight clothes are adequate for the summer months in Mount Abu but winters (November-January) require a warm jacket or sweater. Air - The nearest airport to Mount Abu is Maharana Pratap Udaipur Airport, Dabok (Udaipur), 185 km away. One can hire a taxi to get to Mount Abu. Rail - The nearest railhead to Mount Abu is at Abu Road (29-km) situated on Mumbai-Ahmedabad-Ajmer-Jaipur-Delhi route. From Abu Road, one can take a taxi, jeep or bus to Mount Abu. Road - Mount Abu is well connected by surface network. Ahmedabad is 222-km via Palanpur. Jodhpur is 235-km via Sirohi and Pali. Udaipur is 156-km via Pidwara. (Journey on this route is advisable only during the day). Jaipur is 509-km via Pali-Ajmer. Mount Abu is well connected to all the major towns in northern and western India.